James M Triggs. One of the men who have had a prominent part in upbuilding industries in Huntington and making good the motto of the city, is James M. Triggs, the founder and manager of the Majestic Furnace & Foundry Company. Mr. Triggs started this business in 1907, when the company was incorporated with a capital of $30,000 under the name of the Majestic Furnace & Foundry Company. It is a large and important industry. The plant is in a building one hundred and thirty two by one hundred and forty feet, two stories in height, and equipped with the latest machinery, all the power being electric motors. The payroll is distributed among some sixty employees, and the company manufacture furnaces, coal chutes, garbage receivers, and builders specialties. The output is distributed all over the United States. The business is on a solid basis of commercial success, and its stock holders enjoy large dividends on the capital invested. Mr Triggs besides being manager is secretary and treasurer, and Peter Martin is vice president, while the president of the company is W. W. Hawley. James M. Triggs was born in Jackson county, Michigan, June 4, 1871, representing an old family in that section of the state. His parents were William M. and Innocent (Fuller) Triggs. His youth was spent in his native country and while there he attended the common schools and subsequently hight school. His school days may be said to have ended when he was fourteen years old. His first business experience was in a hardware store in Morenci, Michigan, and later he went on the road as a traveling salesman representing a hardware house in Cleveland and covered the states of Ohio and Indiana for several years. Later he left the road in order to take the management of the hardware store in which he was first employed in Morenci, Michigan, and after a broad and varied experience in business affairs, he came to Huntington and established his present business. He was a leader and promoter of the enterprise, but associated with him some of the well known men of Huntington as stock holders. His business has more than justified the early anticipations as to its success, and no list of Huntington industries would be complete without mention of the Majestic Company. In 1892 Mr Triggs marries Miss Myrtle Datesman, daughter of Jess Datesman of Morenci, Michigan. They are the parents of three children: Kenneth, Helen and Lawrence. Mr Triggs is affiliated with Amity Lodge, A.F. & A. M. and is popular in both business and social circles at Huntington, being always alive to any movement that concerns the welfare of the community. His home is at 1011 Bryon street. Memory Keeping:: Layout Share I promised! The Facebook Freebie kit from Little Feet Digital Designs is available now on the Facebook page so if you’re a digi-scrapper…go now and pick it up! This freebie is also an add-on kit for a gorgeous collab collection that Janet contributed to called “Oh Snap” that is on special for iDSD at Gingersnaps. For the above layout, I used only items that were in the freebie mini-kit. Proving that you don’t need a 75 piece scrapbook kit to make a gorgeous page. BUT it is fun to have ;-). I’ll be busy this morning spearheading a big clean-out day at church and then (of course) there is a soccer game happening but I will definitely be making time to check out the iDSD sales at my favorite online shops ! I don’t know about where y’all live but here in New England….I think it may be finally thinking about starting to be fall! It’s definitely cooler, it’s actually been damp and chilly yesterday and today. After a summer with almost no rain it was a bit of a relief I will say. Time to dig out fuzzy socks and fleece over here. Fall, closely followed by Winter means more inside crafting time around here. There is still lovely outdoor time to be had in October but I’m definitely feeling the tug to come inside and make stuff! You can go on all day with this. So I’d better stop, eventually the people I live with will want to eat dinner ;-). You get the idea. Most of the photos in the albums are faded out, which isn’t surprising considering…they’re 83years old. A number of them are even older. Fortunately, they were stored in albums that were laid flat and did not really see the light of day too much. The were also not stored in an attic or (even worse) a basement. Several of the albums even zip shut, which is pretty cool and help keep the images away from sunlight. So I’d say we’re doing pretty well all in all on antique photos. I have stacks of albums and a big box of slides to scan and work with ….hello winter project! I’ll share my progress with the project (and another new big project I have up my [long] sleeve) here as I go! 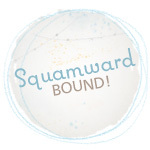 I have a sweet layout all ready for it’s unveiling using this photo… but it will have to wait until Saturday which is iDSD (international Digital Scrapbook Day…. didn’t know there was one did ya!). 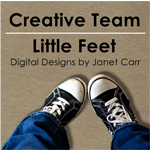 I’m using a freebie kit from Little Feet Digital Design which will release on her FB page on Saturday morning! This freebie will also coordinate with a lovely collaboration kit at Gingerscraps which will be having all sorts of amazing sales on Saturday so if you’re a digital scrapbooker, you’ll want to stay tuned for that! Check back Saturday morning for the layout! Hope you all have a wonderful rest of your day!! *working out blog-kinks so hoping the photo formatting doesn’t look too wonky on your end!